Skin health doesn’t need to be complicated. The HydraFacial MD® treatment can be tailored to safely & effectively address your unique needs. Everyone deserves nothing but the best. Rejuvenate and protect the health of your skin with one of the following Signature HydraFacial treatments that will enhance your natural beauty, and give you healthy, glowing, radiant skin. The HydraFacial MD® treatment rejuvenates and protects the health of your skin, providing immediate results and long-term benefits without downtime or irritation. It is available in many different options to improve overall skin health. The HydraFacial MD® treatment is recommended for all skin types and ages, leaving your skin feeling refreshed, renewed and invigorated. This is a non-invasive, resurfacing procedure that thoroughly cares for your skin and provides cleansing, exfoliation, extractions and hydration. It also includes Vortex-Fusion® to deeply penetrate antioxidants, peptides and hyaluronic acid. This HydraFacial MD® treatment deeply cleanses, exfoliates, extracts, and hydrates the skin utilizing super serums filled with antioxidants, peptides, and hyaluronic acid. It is recommended for all skin types and ages to improve overall skin health and provides immediate results in as little as 30 minutes that will leave your skin feeling refreshed, renewed, and invigorated. 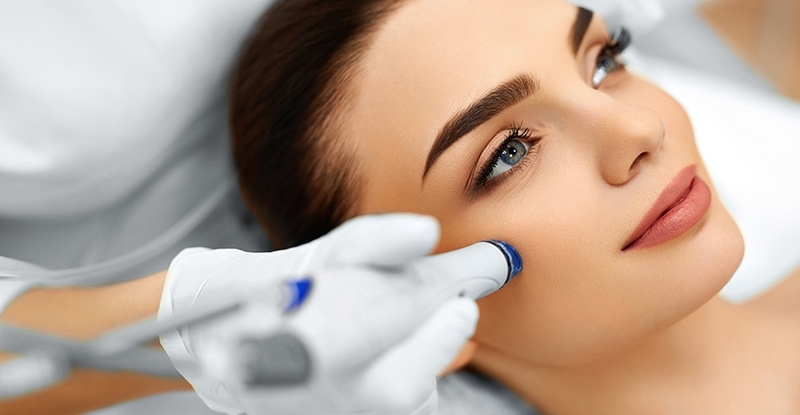 Eva has developed this unique, 60-minute signature HydraFacial treatment that leaves the skin rejuvenated, lifted, more even toned, healthy and glowing. In addition to the basic HydraFacial MD® treatment, a Hungarian Facial Massage and a special hydrating mask will rejuvenate your skin. This ultimate HydraFacial MD® treatment truly transforms your skin. It includes Eva’s signature treatment with lymphatic drainage and LED Light Therapy. LED light therapy stimulates collagen and elastin production and destroys acne-causing bacteria. It is safe and effective for all skin types and complexions.